I have had meals from Taj Palace both in the restaurant and at private events, and the food is always exceptional with wonderful flavors. They have some of the best freshly made naan outside of India and one of the best lamb dishes I've ever had. My thanks to the owners for all the great meals and their hospitality. Great Food! Good Ambience! Service is slow during busy hours... They also provide coupon codes for online delivery as promotional offers. Must try the butter chicken and naan. Desserts are quite nice as well. Give it a try! Great food, wonderful service my first time here and i enjoyed every bite. I stumbled upon this joint a month or two ago and can't stop eating here. Reasonably priced for the size and flavor. I don't know if its legit Indian food, but I do know its delicious! I've loved coming to this Indian Restaurant ever since I was a little kid, I've been addicted since, pricy but totally worth it, a great place to come as a group with friend and family. I would recommend this place to anyone who likes Indian food! Super good food but also super pricey lunch prices. Worth it once in a blue moon. Delicious food filled with rich flavor. Great vegetarian and vegan options. Romantic, calm atmosphere, and attentive service that's perfect for a date night or weeknight meal out when you don't feel like cooking. I highly recommend! Friendly staff in quaint (but rather old fashioned) atmosphere. Taj has a large menu was very reasonable prices. Everything I've tried has been very tasty and they're always willing to make anything I order as hot as anyone could possibly stand it! Highly recommended for friendliness, taste and price. Great fresh lunch Buffett. They are the oldest Indian restaurant in Austin. They have been here 28 years. Lovely owners. Great service and great food!! I highly recommend the lunch. Still need to check it out for dinner before I can recommend that. Delicious, as always! I'm a regular here, and it has always been wonderful! By far the best Indian food around! I drive in from Taylor, Tx to get my Taj Palace fix :) Every single time I come I'm greeted with smiles, friendly staff and the best food around! I've been coming for years and I shall continue the tradition. I am vegetarian and like those vegetable curries. Still going strong and consistent. Delicious, fresh, very friendly service. Would recommend! Mattar paneer and tikki masala, then desserts the rice pudding and pastry dishes. Good food but service only ok.
Amazing service and the food was delicious, we had the dinner for 2 and every dish served was great. Be sure to come in with an empty stomach. Good food. More vegan options would be great. Very delicious food..would suggest to friends who are visiting austin.. If you want fresh and fluffy naan, this is the place to go to. The lunch buffet is fresh and they have a good variety of dishes. The taste and quality has always been consistent and the price is reasonable. Love this place!! Friendly staff. Clean restaurant. Prompt seating. Awesome and flavorful weekday lunch buffet selections. Outstanding Naan and iced tea. Barely made it through my first samosa and had to rate this restaurant! Very authentic and very delicious. We took our family and had a really great time at the Taj Palace Indian kitchen Restaurant and Bar. Our meal was one of the best Indian cuisine meals that I have ever had. The service was prompt and very attentive and the food delicious. We will definitely go back again. 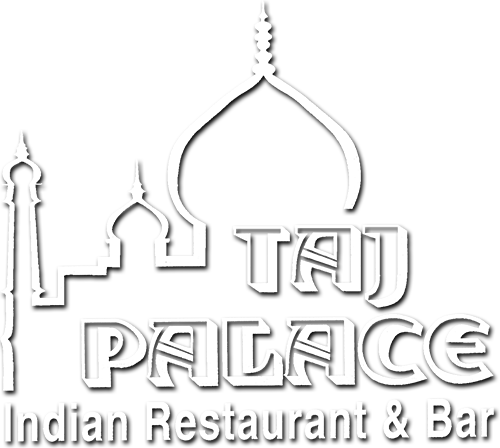 I took my family to the Taj Palace Best Indian kitchen/Bar and Restaurant and we had a great time. The atmosphere was very nice, the service was very attentive and the food was delicious. It was the best Indian meal I have ever had. We will definitely be back. The food was really good, clean place and amazing service. Good prices too! Standard Indian restaurant offerings, done better than anywhere else in town. Beautiful atmosphere—dining there is a mini-escape from the mundane. We've been coming here for more than twenty years, and I can sum up Taj Palace in two words: consistently excellent. All the food is wonderful, but the naan bread is the star of the show. We started eating here as a New Year's Day ritual back in the 90's. I now live in Colorado and it's at the top of my list of places to gather with my Austin area friends when I visit for the holidays. My go-to Indian food buffet in Austin. Delicious! Been my favorite spot for Indian food for decades. Going there again tonight to celebrate our Anniversary. Great staff and food. We love it! Taj Palace is a gem. Always a great selection at the buffet, excellent homemade quality of all offerings including freshly made naan from their tandoor. Yum! !